Should You Run Outside Or On The Treadmill? Which Is Better? 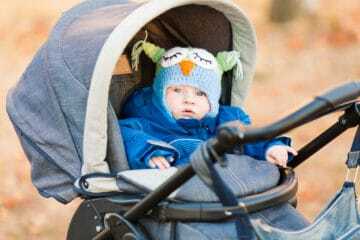 Top 10 Double Buggy Reviews for 2019 – Which One is the Best? 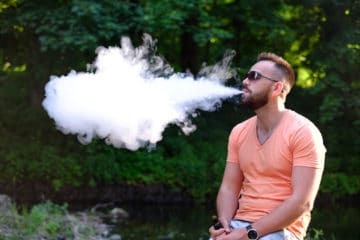 Best E-Liquid Reviews UK 2019 – Which Vape Juice Is Right for You? Best Rebounder Reviews UK 2019 – Which Will Have You Bouncing? 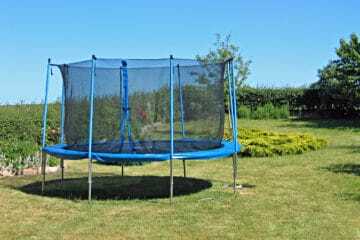 Best Trampoline Reviews UK 2019 – Which Will Make You Jump for Joy? Best Cross Trainer Reviews UK 2019 – Which One Fits Your Needs? 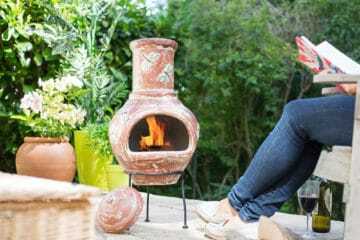 Best Chiminea Reviews UK 2019 – What Is It? How Do We Use It? 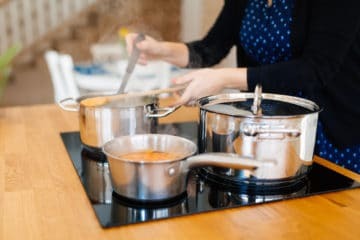 Best Soup Maker Reviews UK 2019 – Are They Any Good? Best Induction Pan Reviews UK 2019 – How Good Are They For Cooking? 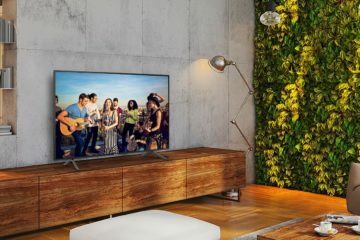 Samsung UE75NU7100 Review – Is It Picture Perfect? 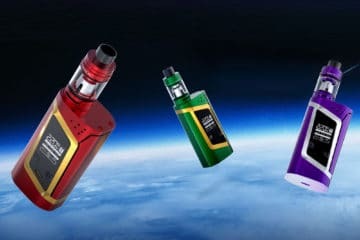 Smok Alien 220W Review UK 2019 – How Cool Is This Smoking Hot Mod? 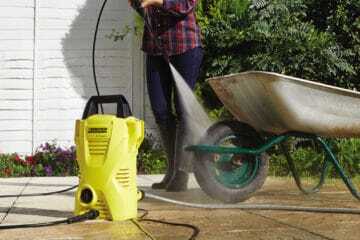 Karcher K2 Review 2019 – How Compact Is This Pressure Washer? Which is best for you and your goals? Treadmill running or outdoor running? This question is asked again and again among both newbie and professional runners. Everyone you speak to will have a different preference, with many runners claiming greater benefits gained by one method over the other. Today we will compare running on the treadmill vs outside. Some people say running outdoors provides a better workout, while others claim the treadmill is best for convenience and training. 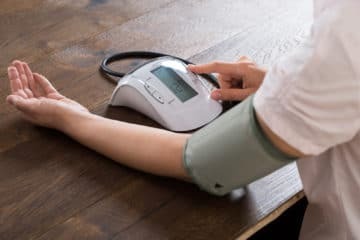 Let’s take a look at their benefits and why you might want to try both before deciding what’s right for you. So Which Is Better: Treadmill Running or Outdoor Running? Running outside can be an extremely positive way to exercise. You will often find that you are much more motivated as you advance along your route, coming ever closer to your destination. Achievement is much more pronounced when you run outdoors. It’s not merely a screen telling you you’ve run a given amount of miles. When you’ve seen the road fly past you, the achievement feels more real and personal. Such motivation is important especially if your goal is weight loss. Going to different places while training can add to your motivation. Even in quiet areas, there is almost always something interesting which will catch your eye. This makes each part of your run different and can even help take your mind off any fatigue you feel. Running outside also offers much more challenging terrain than that of a treadmill. For example, treadmills feature a completely flat surface, while outdoor trails will be uneven. This matters because your body has to work harder to stabilise itself when running on an uneven surface. On the treadmill, you move your feet at a constant pace. There is a need to press buttons to go faster or slower. When you run outdoors, you propel yourself forward with each step. 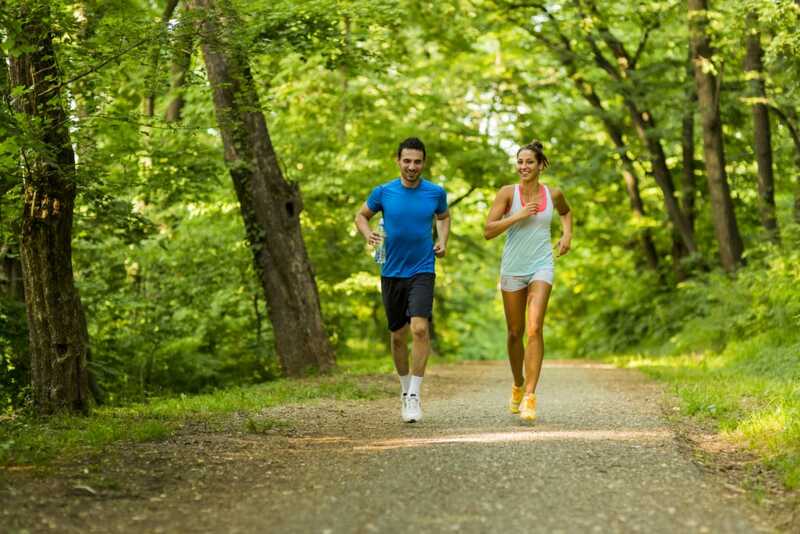 You can dictate how fast or slow you go which means that running on an outdoor trail tend to work your muscles harder. The uneven surfaces you come across during an outdoor run will challenge and help condition all your leg muscles equally. Running outdoors is also a great antidote to our modern lifestyles. Nowadays we all spend lots of time in front of our devices, whether it’s while working in the office or at home. By taking your workout outside, you’ll be able to socialise and interact with others. If you regularly run outside in your area, you are more likely to meet people in your community or at least find out what some of your neighbours look like. Some routes can be beneficial to you because you get exposed to nature. Even in the bustling city, you can still benefit from running in a local park. Additionally, if you can get out during the day, spending time in sunlight has been scientifically proven to boost your mood and vitamin D levels. One of the main negative things about running outside is the weather. You may plan to run tomorrow but with a sudden heavy downpour, you will likely decide to put it off. 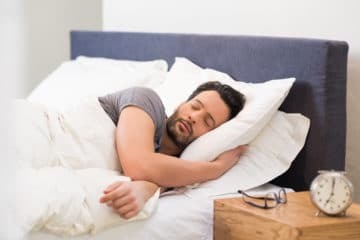 Once this happens several times in a row, particularly if you have a hectic schedule, then it will severely impact your performance and you will struggle to reach your goals. Depending on your availability, winter can also be a difficult time to go running outdoors. Aside from the cold, running in the dark can be dangerous and can increase the risk of injury from traffic or a fall, especially in icy conditions. Having an injury may then mean you are out of action for many weeks while you recover – setting back your progress. 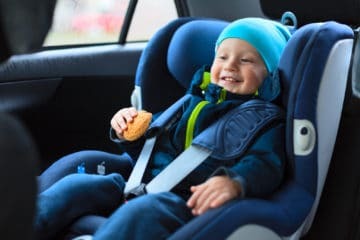 Aside from being at the mercy of the weather, there are other factors that are possibly more dangerous, such as pollution and traffic. Having to stop regularly at junctions can ruin your overall speed record and sense of achievement. It will also decrease the possibility of enhancing your performance and beating any personal records. If you’re running in an urban area it can be particularly dangerous, even ill-advised at times, to go running. Smog, vehicle exhaust fumes, and air pollution can all make outdoor running a dangerous sport for your health. 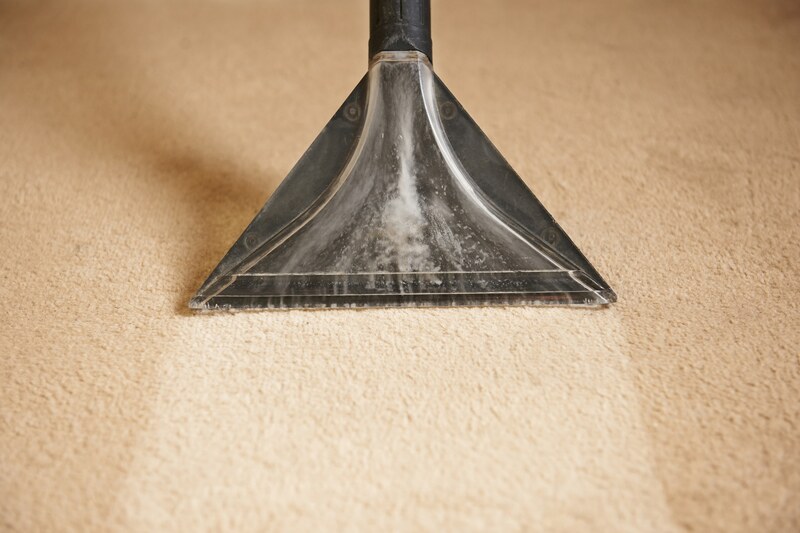 Also, bear in mind that if you suffer from allergies, running outside may not be a possibility for long periods of time when the pollen count is particularly high. Solitary runners, in particular women, can also be at risk if they go running in isolated places or poorly lit streets. While this is a risk that is common to many people, not just runners, if you regularly run the same route alone, you could be putting yourself at extra risk of being robbed or worse. Convenience is by far the biggest benefit of treadmills and other indoor equipment like cross trainers, rowing machines and exercise bikes. Warm in winter and cool in summer, treadmill running can optimise your running performance year-round. 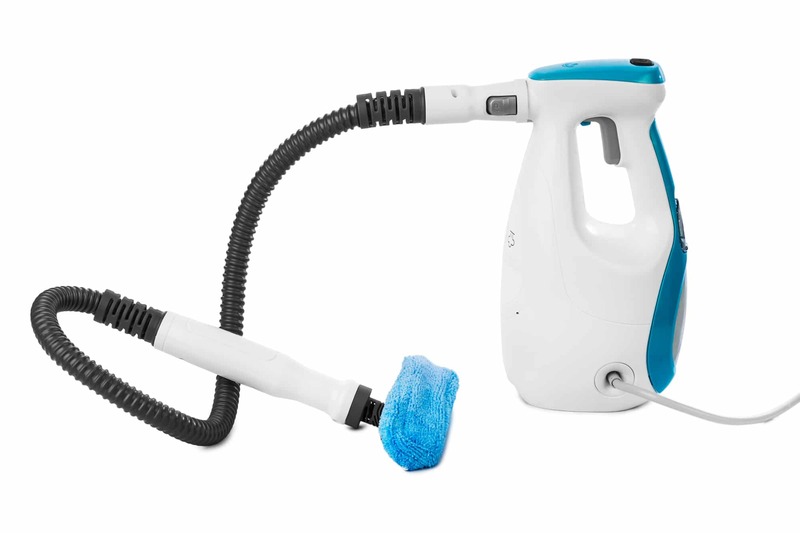 You don’t have to worry about the outdoor air quality, temperature or any other hindrances such as roadworks or busy junctions. It is also much safer from a security point of view. This is especially true if you have your own treadmill at home. Having your own treadmill is a great way to fit in a run when you have a hectic lifestyle and can’t make it to the gym or park. In terms of the physical benefits of running on a treadmill vs road, we should consider that treadmill running is a great way to build speed when training for a race. 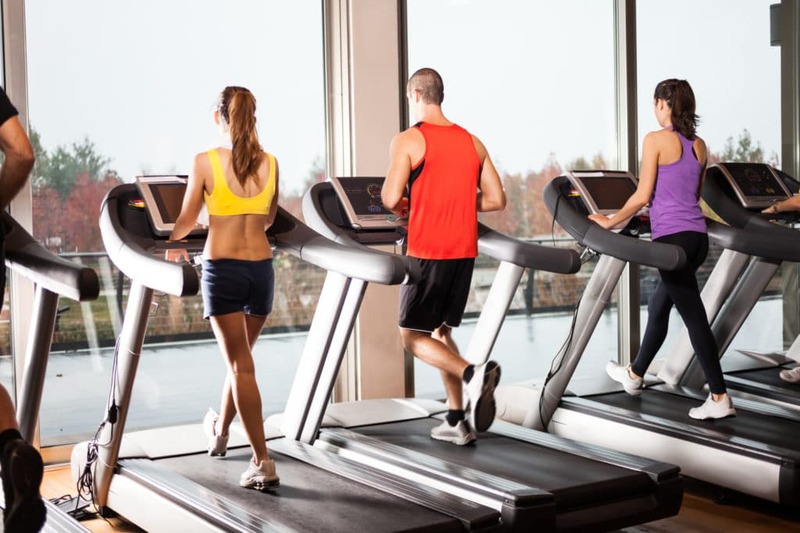 Treadmills will help you to improve your speed and endurance by forcing you to maintain a certain speed. It is easier for you to condition yourself to that pace – without subconsciously slowing down like you might when running outdoors. 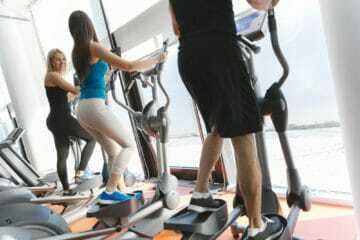 The cushioned conveyor belt of a treadmill is also much kinder on your joints than a hard tarmac or a compacted trail. 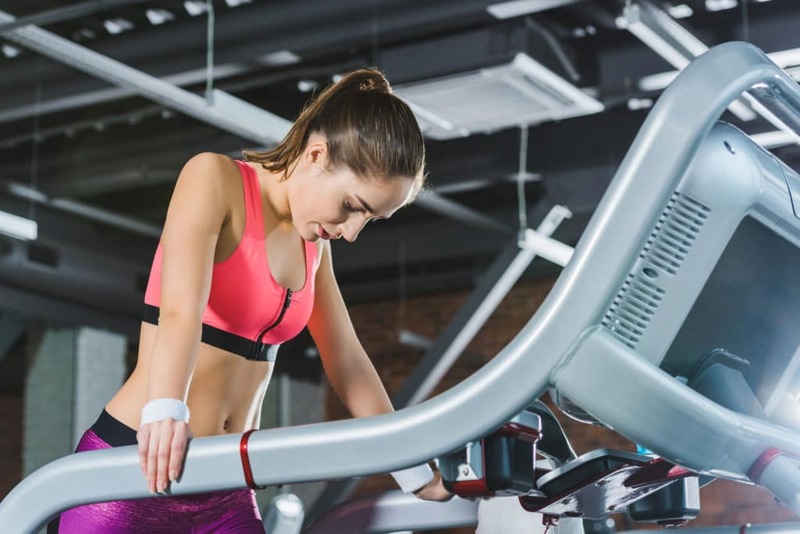 Lastly, treadmills are good for marathon training, weight loss and regular running because it has the ability to quickly and easily check your performance. Treadmills usually have a screen that can help track your progress to keep you motivated to push towards your goals. While there are many benefits to treadmill running, the biggest downside is boredom. Without the changing scenery and the sense of progression, you can very quickly get bored when you’re running on a treadmill. Without any distant landmarks getting closer, you may find that you’re tempted to quit sooner than you would if you were running outdoors. The constant speed of the belt means you will not get as efficient a workout as you would if you ran outside. This is because your body plateaus into a continuous repetitive motion where your muscles are not challenged or surprised. Your leg muscles don’t have to perform any turns which strengthen them in different areas. Nor do you have to hop up onto a curb or weave between people who might be in your way. All these movements help to condition your body to real-world actions. So by using a treadmill, your legs are only being worked to a certain level of their potential. Running indoors on a treadmill also means that you’re missing out on going outside and getting all of the benefits that this can bring. Aside from the positive effects of natural daylight and the connection with nature, if you’re running at home on your treadmill you are definitely also missing out on a social, human element. Although, this is not the case when using a treadmill in the gym. Also, if you work indoors and spend most of your time indoors, then running on a treadmill doesn’t quite give you the same impression of having a break from your work and home routine. Getting out and away from it all provides you with a clear and refreshing break. This is truly you-time when you can focus on yourself and your performance. Running on a treadmill simply doesn’t provide the same sensation of escape. There is no outright winner when it comes to treadmill vs track running. In fact, most of the time there are benefits to be had from combining both methods into your fitness regime. Treadmill running can be boring, but your training will not be reliant upon factors such as pollen count or the weather. You can fit in a workout during dark, cold, winter mornings or early nights. 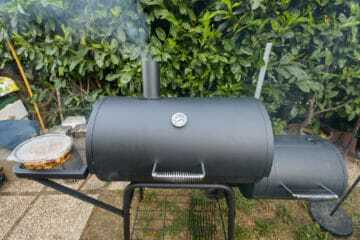 You can even use it when it’s too hot outside in summer, not to mention during storms and other weather conditions. Treadmill running can also be great when you are training and want to maintain your performance while on your break, say for example during school holidays. Using the treadmill is also ideal if you have children and can’t commit to going out for a long period of time. As we have seen, outdoor running has many benefits. Yet, it can also be nearly impossible or even dangerous in some circumstances. Running outside can be ideal for you when you live in a rural area or if you have nearby tracks or parks that are suitable. It also makes you feel that you’ve actually gone out there and done it when you set yourself a distance goal you get a greater sense of achievement as you’ve actually progressed that many miles. However, even if you have an ideal place to go running outside, there will always be days when a treadmill will be preferable. To sum it up, you don’t need to decide between running on the treadmill vs outside. 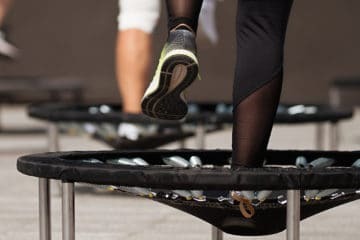 Treadmills do not work your body in the same way as running on a track, but that doesn’t mean that outdoor running or treadmill running is necessarily better. Using a combination of both is the best way to achieve overall physical health, helps you if you are training, and ensures that you will always manage to fit a workout in your schedule. Can Exercise Bikes Generate Electricity? Are Exercise Bikes Good for Losing Weight? Hi, I'm the top dog at Best Spy. 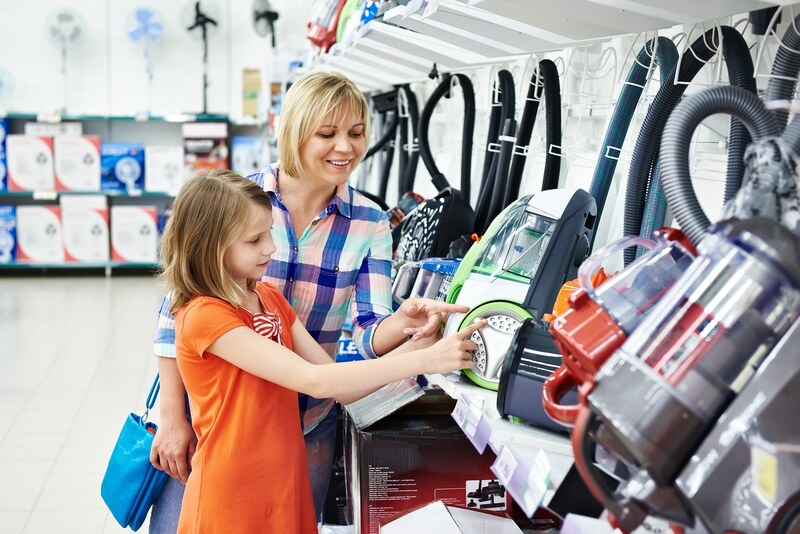 Highly experienced with home appliances through my previous jobs, I want to make a difference by helping UK consumers make sense of the jargon and easily pick the cream from the crop. BestSpy.co.uk is a participant in the Amazon EU Associates Programme, an affiliate advertising programme designed to provide a means for sites to earn advertising fees by advertising and linking to Amazon.co.uk.